How did it all end for Alicia? 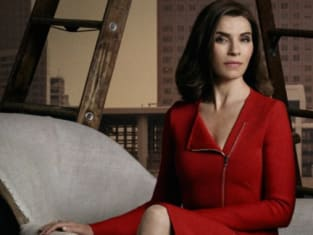 On The Good Wife Season 7 Episode 22 Alicia made some shocking decisions about her future, but did it involve a blast from the past showing up? Meanwhile on the series finale of this award-winning drama, Peter faced the repercussions of his trial, but did everyone stand by him in his time of need? Also, did Diane and Lucca get what they wanted? Use the video above to watch The Good Wife online to get up to speed with how the series said goodbye.